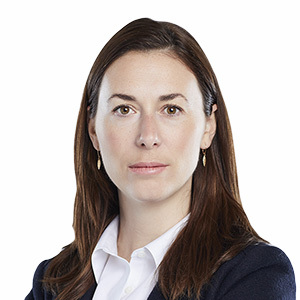 Anne Tardif is a litigation partner in Gowling WLG’s Ottawa office. Fluently bilingual, she represents individuals, professionals, private companies and public entities in both English and French. Anne has a general litigation practice that cuts across practice areas including commercial and procurement matters, professional liability matters, shareholder disputes, and construction, tax, constitutional, public, agricultural and municipal law. Anne also represents health professionals in medical defence litigation and professional disciplinary proceedings. Anne has argued before all levels of court in Alberta and Ontario, the Federal Court and Federal Court of Appeal, and the Tax Court of Canada. She has represented clients in arbitrations and before administrative and regulatory tribunals, including the Patented Medicine Prices Review Board and the Ontario Agriculture, Food and Rural Affairs Tribunal. Originally from Montreal, Anne graduated from Dalhousie Law School where she obtained the gold medal for the highest overall mark. She started her career clerking for the Honourable Michel Bastarache at the Supreme Court of Canada. Anne has experience working in the private sector and for government as legal counsel for the Patented Medicine Prices Review Board. Anne teaches trial advocacy at the University of Ottawa and is a regular judge at the annual Laskin constitutional-administrative law moot court competition. Anne also regularly speaks on commercial law topics.